Become the ultimate creepy clown of your friends’ nightmares with this spooky Latex Mask - Fonzo The Clown - Adult Costume Accessory. Sharp teeth chomp down on a lit cigar. Red flame makeup, bloody red lips, a red nose, and shock of green hair complete this eerie look. 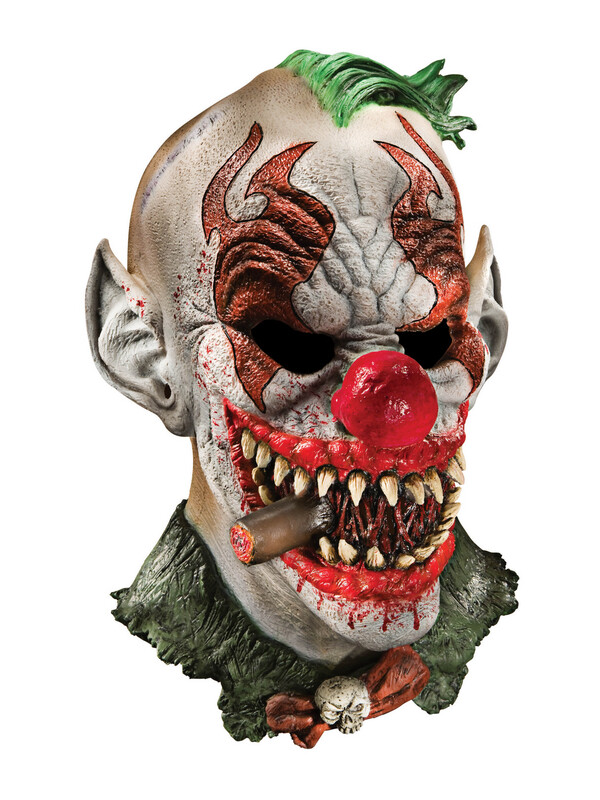 Order adult horror costumes and accessories online now.